Hi My Bloggers Friends!! How are you?? Just want to share I'm so overwhelmed for this wonderful day of Tuesday 4/22/2014. And Now, my Grandchild joining this contest at Baby Company/SM Department as their Promo Titled "STAR BABY". My Grandchild joined this contest, we completed the requirements last March 31. Today it make me feel blast to seen my Apo /grandchild was included in Visayas/Mindanao. 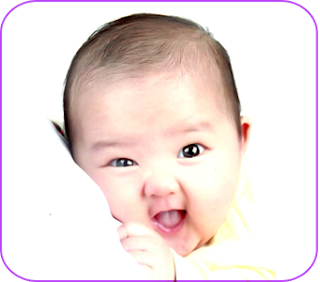 Please check it out for yourself,How to join, you might have qualified babies or future babies. Please Vote for my Apo/Grandchild named " ALISON C. TAGALOG" 1VOTE/email address per day up to April 25th,2014 only. for this 1st quarter. It's more than a year of being active in Health Studio and doing Zumba Fitness almost everyday. My Ideal weight is almost reach...I began last year weight 69kls and now I maintain in 60 kls.. in the height of 5'2 inches. But according to my trainer my ideal weight is 54 to 57kls. Well for me now, I do look good for 60kls LOL... I'm not so ambitious to reach my ideal weight because I might look like zombies or not healthy anymore. In short not pretty anymore hehehehe. I just want to share this because ...For the past years and up to this year I am not anymore qualified as Blood donor.. Due to my hemoglobin is only enough for myself. This is the most depressing moment for how many times I tried to donate blood but still not passing for the requirements. But I am not anemic. The most common denominator is Diet and Gym active... being fit and reaching ideal weight... I am doing my diet and regular exercise to maintain my weight...But in the other way I am not avail to be a blood donor anymore. Its because I don't have more hemoglobin but only enough for me. I also asked my co Gym mates-Ladies...They also experiencing same as I am. When they are more than of their ideal weights they are able to qualified as blood donor.Since they also reached their ideal weight or closely to ideal weight, they cannot pass as blood donor also. I do hope in Male gym active they can still be a blood donor.Positively. These week I experienced lots of unexpected happening in my personal life.But all of the events and experiences I already offered to God.I will say not all negative issues but also the wonderful expriences in life I also offered. I have 3 siblings residing in Luzon area and 1 inlaws including their families.Thanks God they are all safe. My classmates in High School also living part in Luzon.. Friends,Bloger Friends and co Employees..I'm Praying for their safety and hope they have enough food and drinking water to sustain them untill the water subsides. Gen.8:7-12 is about Noah's Ark..
And the date yesterday it's 8-7-12. the super flooding in Manila. I know that every Employee had a regular lunch break time for only 1 hour. But last Friday I had a surprised invitation for Lunch. My classmate in Elementary she already based in Japan for long years. She already had 2 kids. Boy and Girl. She’s been here for vacation in Davao City. Back to our Lunch date I really amazed and grateful to meet a friend after 29 years I know you can count on how old I am now hehehe .But I am so proud to say my age, I am already 41 years old. Our food- Tuna Belly Inihaw (Grilled),Fresh Tuna Kinilaw, Sizzling Sea foods, Chopsuey (mixed Veggies with sea foods) and Fresh Mango shake. We ate at Yellow Finn Seafoods and Restaurant.If you will visit Davao City don't miss this place.Their Specialty is Grealess Chicken, Tuna Buntot Adobo,all kinds of seafoods ,crabs,squids,prawns and so many to mentioned.They serve Lutong bahay taste and prices are very affordable.Telephone Nos. 082-297-8777 and 082-298-0299. We ordered Food almost sea foods because she really missed our fresh Sea foods and the price is not high compared to Japan. Cheka and talking of what happen after our graduation and where about. I am so glad knowing her life. Even in a very short of time spending with her and with our common friends we are 4 actually the two ladies are from our High School links. We did a great lunch out and memorable one. All I can say time is so precious. To my Elementary Classmate seeing me, after 29years Best wishes and Good luck and more blessings to come my Friend Jeanette N. Hasegawa!!! I am so busy for how many months and no outings or no gatherings had attended with friends. But last Friday after attending Lunch out with my elementary friend.Followed with a dinner date another batch of friends same in Elementary. It's been so long...I have a pending Dinner and coffee break Invitation with my constant connected friend from Osmena Elementary School , named Marinella. She is based in Davao so I tagged her as constant Friend. Because she will really find ways to see me, even in the office if she really missing me much, she will visit me in my working place even it is far in her residence.she will texted me if she noticed I am not updated on my facebook.She really checked me every now and then. So, I cannot refuse her invitation for a dinner with our classmate worked as a Teacher for 17years in grade school that’s my second time bonding with Delia..Delia had a 3 kids ( 2girls and a boy)she shared to us that she had no house help for the past 3 months and it is not easy for a working mom with 3 kids 1 in high School and 2 are in grade school. I also shared to her that I have no house help for almost 4 years. Time Management is the best and helpful tips.But I said to her that she should give time for her self.Specially she is a teacher after doing house chores she will be doing her school requirements,checking test papers and lesson plans and so on. So my Friday was so fully booked.I had many gatherings attended in by batch and by meal time LOL. So Thankful because I managed it very well.And so thankful too because my hubby permitted me to go with them. And also the weather are very good..I think that's a real time for me to go out with friends. Back to Dinner date.We gathered @ Matina Town Square Taboan ,we ordered Law-oy vegetable soup a combination of squash, bean string, eggplant, Okra and some green leafy vegetables (Alumbati), Davao Express from BBQ Boss also Mixed veggies but Adobo type, I forgot to take some photos maybe next time..Pork BBQ with Soy sauce,chilli and Calamansi,Bulad Rice,Kinilaw na Tuna,Grilled Gizzard and Chicken Liver..When we are already full and beautiful .We transferred and ended in Coffee at Blugrecoffe@ Matina Town Square Branch. We had so many photos and we feel like we are in our teenage times ha ha ha…The moms are taking unwind moments, sometimes we need also to pamper ourselves.Okay? My hubby had a great plan in the previous days. Then last Sunday while we are taking our Breakfast he discussed it again, that he would like us to be enrol in Fitness Centre near in our area. He would like me & my daughter be going regularly in the Gym for our good health and be Physically fit including him. To make the story short, It was realized. We did, we enrolled in South Health Studio as Family Group Rate. I am so blessed that my hubby, really think of our good health for the whole family. My daughter really loves to go to Gym in per session basis and now she can go to the Gym anytime she wants. I and Hubby will also goes to Gym even in the night after our office hours. Gym will be closed by 10pm.A new bonding place for my family. God is so good all the time. I shared to one of my friend that I already enrolled, He is so happy knowing it because he is one that also so concern and health conscious. How many times he told me to be careful of food intake and be fit.Because he notice I really gain and getting over weight :).. These time health is really a wealth. And that is really true! At Gym, I did 25 minutes in treadmill, 15mins in cycling and 30mins in one gym equipment .Correct me if I am wrong. "Past track" having step board with combination of hand movement.. For Cardiovascular .I will check the correct name soon.. The first time I tried weekend of last week, the Gym Trainer told me to be done in 20mins but I failed, I only got 5mins (LOL) It's so very hard for the beginner, like me that slightly overweight .LOL. I got body pains a day after of doing it.. But last sunday I reached 30mins. I congratulated myself. So funny to hear but that is really true he he he he. I think I burned almost 500calories yesterday and I’m starting conscious on calories intake. Calories so hard to burn it will take lots of hours, but it easy to gain through our food intake in just less than 5 to 10mins.So I am thinking now the minutes equivalent to hours. Weigh. I started weighing 69kls. Already marked to my calendar. I do hope after a month I will be in 65kls then going down again after a month..Wishes 101..
Theme images by 1Photodiva. Powered by Blogger.